A lot of people have one of those large jugs of apple cider vinegar in a cabinet somewhere, but aren’t really sure what to do with it. Turns out, you have a lot of options! Here are twenty of them. Salad dressing ingredient: Oil and vinegar is a simple, classic way to jazz up your lettuce leaves, and apple cider vinegar works just as well—providing a sweeter, fruitier flavor than traditional vinegar. Plus, just check out these health benefits. 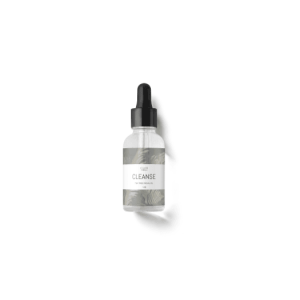 All-natural cleaning spray: Some cleaning products leave your home smelling like a hospital. 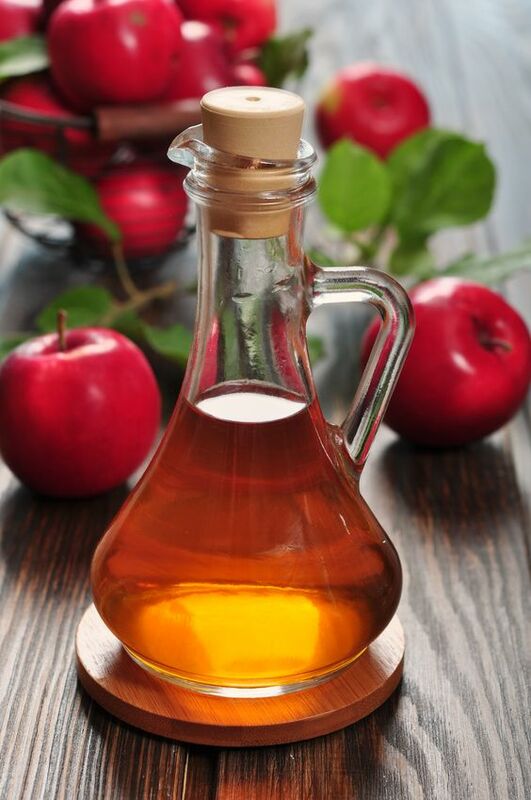 Apple cider vinegar acts as an antibacterial cleaning solution with a fresh, non-chemical smell. Hair cleanser: If you need a little extra help to tackle oil and dirt, rinse your hair with a solution of 1 tbsp apple cider vinegar to one cup of water. It leaves your hair shiny and smooth. Teeth whitener: Harsh bleaching agents can damage your teeth, so if you notice them beginning to dull or stain, try vinegar as an alternative. Mix one part vinegar with two parts water and swish it in your mouth for about a minute. Cold symptom alleviation: It can address multiple symptoms associated with head colds, especially soothing sore throats and clearing sinuses. Burn relief: No aloe vera on hand? Apple cider vinegar can also provide instant relief burns (and sunburns), as well as helping the skin heal faster. Flea repellant for pets: Noticing your pet scratching more often than usual? Mix one part vinegar and one part water, and rub the solution generously into their coat. It’ll take care of existing flea problems and prevent new ones. To banish fleas immediately, repeat it daily for 3-6 days; for maintenance, once every week or two should suffice. Room deodorizer: It’s not necessarily usable as an air freshener, because the scent doesn’t last long—but it does neutralize negative odors. Weed killer: One of the main problems with herbicides is that the chemicals in them can be harsh and damage your soil and plants (plus make it into your food). Apple cider vinegar is a great natural alternative. Pour it directly onto weeds to save yourself some time in the garden. Plant fertilizer: It’s uncommon for something to be able to kill weeds and fertilize plants, but not impossible! Mix 10 ounces of vinegar with 10 gallons of water and spray it on soil to nourish and fertilize it. Dandruff solution: Dry scalps are a common problem, especially in winter. Washing your hair with vinegar (again, 1 tbsp vinegar to 1 cup water) helps alleviate flaking. Deodorant: Prefer using natural deodorant? Apple cider vinegar works—and don’t worry about smelling like a salad, because the scent fades quickly, but it’ll continue to absorb odors for hours. Breath freshener: Given a few of its other uses, it isn’t too surprising that apple cider vinegar can also fight bad breath. It kills odor-causing mouth bacteria. Bruise fader: If you’re anything like me, you randomly find bruises now and then with no idea about where you got them. Apply vinegar topically to reduce their appearance and speed their healing. Muscle relaxer: Sore muscles from a tough workout? 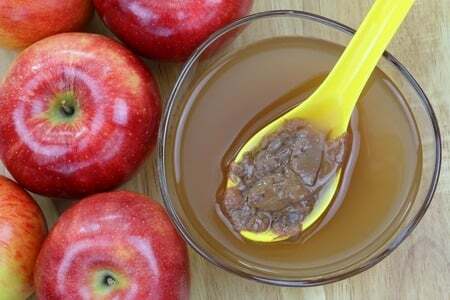 Some report that applying apple cider vinegar topically helps to alleviate aches and pains. Soup flavor: I love experimenting with different ingredients and spices in soups. Apple cider vinegar is a great way to add some extra kick (though be careful not to overdo it). Baking ingredient: Using vinegar in baked goods helps give cakes/cookies some lift (as it reacts with the baking soda). Some people prefer using white vinegar, but apple cider vinegar is a little milder and harder to detect in the finished product—which is good, since chances are you don’t really want vinegar cookies. Upset stomach soother: Indigestion, food poisoning, bloating—stomachs are sensitive. Drinking watered-down apple cider vinegar (in juice or tea, preferably, to mask the taste) can help nausea subside. Bug bite relief: Summer’s coming soon and the bugs are waking up, so be ready for them. Apple cider vinegar relieves the itching. Have you tried any of these before? Do you know of other uses for apple cider vinegar? Let me know!